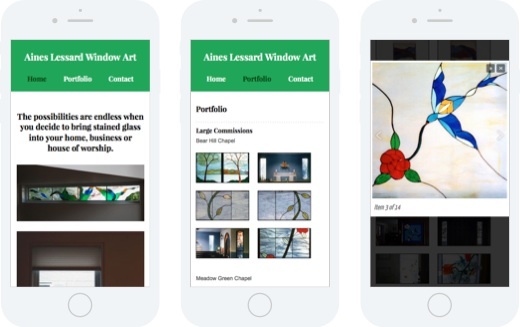 Website for stained glass artist. The home page has a magazine style layout with pull quotes and selected photos. 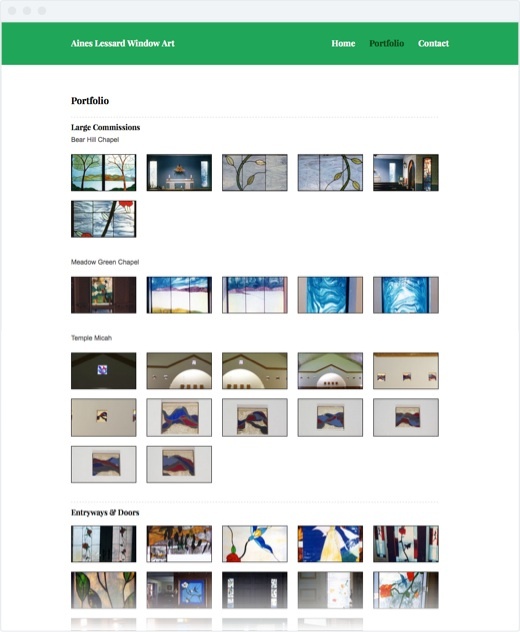 The portfolio page is a traditional thumbnail photo gallery. 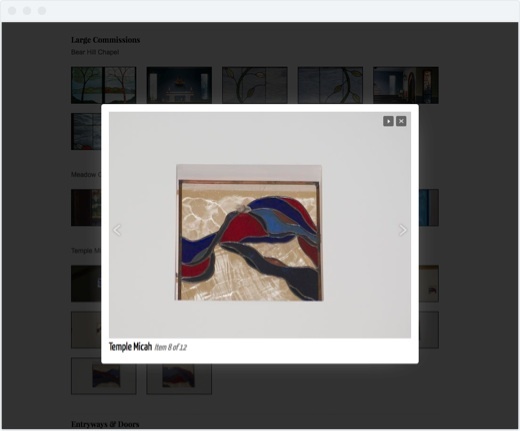 When a user clicks on a thumbnail in the portfolio the photo appears in a modal pop-up window. They can then cycle through the other photos for that project, or close the window to select another one. The site is responsive, and works on any device. The large header and footer background photos aren’t included for a faster load time.